Since 2016, the average dollar amount that companies are spending on video for social media has more than doubled. Video is a crucial piece in any social media campaign, taking up, on average, more than half of the funding in digital and mobile advertising budgets. It’s a smart business move to invest, but where do you start? Formats change from platform to platform, and often even within the social media platforms themselves. Failing to find a “one size fits all” list of best practices is frustrating, so hopefully I can save you the legwork of needing to hunt down the specifics yourself with the information I’ve provided below. Optimizing your video for social media ads on Facebook can be tricky, mainly because of the many different ways that the platform delivers video to its users. When you buy a video ad on Facebook today, its algorithm could place it in any one of a dozen different formats (desktop, mobile feed, side bar, messenger, etc). Learning the different flavors of Facebook video can help you customize the delivery format that matches your campaign goals. Tips: For best results, Facebook recommends uploading videos in .mp4 and .mov format. Videos can be up to 240 minutes long, up to 4GB in size and have a maximum frame rate of 30fps. Recommended Specs: .mp4 format, maximum file size of 1.75GB, maximum duration of 40 minutes, maximum frame rate of 60 fps. Tips: If the camera you recorded your video on automatically includes 360 video metadata with the video file, you can upload it like you would with any other video. If it doesn’t, click the “advanced” tab when uploading to bring up Facebook’s “360 Controls” menu, which will let you convert unformatted footage into a 360 video. Recommended Specs: .mp4 or .mov format, maximum file size of 4GB, maximum duration of 120 minutes, maximum frame rate of 30 fps. Tips: For in-stream ads, Facebook recommends uploading the highest resolution source video available without letter or pillar boxing. Tips: Facebook recommends uploading the highest resolution video available that meets file size and ratio limits. Videos can be up to 240 minutes long, a maximum file size of 4GB and a maximum frame rate of 30 fps. Recommended Specs: .mp4 or .mov file format, maximum duration of 15 seconds and maximum file size of 4GB. Tips: Upload the highest resolution video possible and consider leaving the top and bottom 15 percent empty of important information to avoid being obscured by the profile icon or call to action. Tips: Carousels let you showcase up to 10 images or videos in just one ad without having the user navigate to a new page. For best results use a 1080 by 1080 pixels square video. Recommended Specs: .mp4 or .mov format, maximum file size of 4GB, a maximum duration of 120 minutes and a maximum frame rate of 30 fps. Tips: Slideshow ads are designed for audiences with slower internet access. It allows you to transform a series of 3-10 images and a sound file into a video ad. For best results, make sure all your photos are the same dimensions. If you use different sizes the slideshow will be automatically cropped to square. 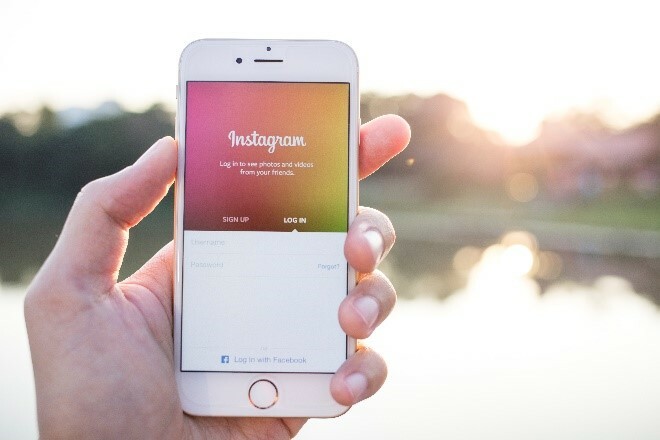 Instagram supports three kinds of video: square, vertical and horizontal. Square videos tend to be the most popular as they are more suitable for viewing on both desktop and mobile, take up more room in the user’s feed than horizontal feed, but don’t crowd the entire screen like vertical videos do. Recommended Specs: .mp4 or .mov file format, maximum file size of 4GB, maximum duration of 60 seconds and maximum frame rate of 30 fps. Tips: Instagram has the same recommendations for video as Facebook. Upload the highest resolution video possible that fits file size and ratio limits. Recommended Specs: .mp4 or .mov file format, maximum duration of 60 seconds and maximum frame rate of 30 fps. Tips: Like Facebook carousels, Instagram carousels let you showcase two to 10 images or videos in one side-scrolling ad. Tips: These videos appear between Instagram user stories for up to 15 seconds (or until dismissed) and take up the whole screen. Because stories are tailored to the size of the device, exact dimensions are hard to predict. Upload the highest resolution possible and consider leaving the top and bottom 15 percent empty of important information to avoid being obscured by the profile icon or call to action. Twitter is optimized to handle video captured on mobile devices. If you’re uploading videos that were recorded a different way, be sure to consult Twitter’s detailed guidelines. For best results using video for social media ads on Twitter, upload the highest resolution you can under the file size limit (512Mb). Recommended Specs: .mp4 for mobile and .mov for desktop, maximum duration of 140 seconds and a maximum file size of 512MB. One study found that Snapchat has the sixth highest concentration of millennials among major apps. With over 150 million daily active users and 7 billion daily video views, this platform has moved beyond its humble origins as a silly photo app. Recommended Specs: .mp4 or .mov file format, between 3 and 10 seconds long and a maximum file size of 32MB. Tips: These ads appear in discovery, in live stories or after a user’s own story, and can link to an app installation page, article or long-form video. Avoid placing logos or other important elements in the top and bottom 15 percent of the video to prevent them from being cut off. Snapchat also has detailed restrictions on the graphics and text that can be used in video for social media ads. Recommended Specs: .mp4 or .mov file format, minimum duration of 15 seconds (no maximum) and a maximum file size of 1GB. Tips: Long-form videos must contain “live and/or motion graphic video” with audio. Horizontal videos are allowed, but Snapchat strongly encourages using vertical videos exclusively. The second-largest search engine behind Google, YouTube is an essential network for video content. For marketers, YouTube is a great space to promote, educate and share video content around your brand. Tips: YouTube encourages users to upload videos that are as close to the original, high quality source format as possible. Videos should never include letterboxing or bars since YouTube will automatically frame videos to ensure they are being displayed correctly without cropping or stretching. Tips: YouTube announced in 2018 they would begin phasing out unskippable 30-second ads. Even though LinkedIn is still in its early stages of video content adoption, the network is still a go-to source for sharing. Nearly 75% of business executives say they watch videos online every week, and that number is only growing. Recommended Specs: .asf, .avi, .flv, .mov, .mpeg-1, .mpeg-4, .mkv, and .webm file format, a maximum file size of 5GB, a maximum duration of 10 minutes and a maximum frame rate of 60fps. How Long Should Video for Social Media Be? Just because YouTube allows a maximum of 12 hours of video doesn’t mean you should start editing together that real-time runner’s marathon feature. There are definitely best practices to follow when it comes to using video for social media, but they are best summed up in the phrase, “Less is more.” You can dive deeper in my blog post on the subject, but here is a quick overview. Facebook audiences like to engage most with videos that are just one minute long. Users like snappy videos that they can quickly like or share before moving on. Instagram videos that received the most comments averaged just 26 seconds. Our brain processes visuals 60,000 times faster than text, so users scroll faster on Instagram than any other app. Twitter’s video of the day averages just 43 seconds. Users are accustomed to short tweets, so make sure the brevity also applies to videos. The videos that receive the most engagement on YouTube are about two minutes. Users like spending time on this platform because they can easily find specific videos and watch their favorite creator’s content. Developing longer, more in-depth, content is perfect for this platform. According to LinkedIn, the most successful video ads are less than 15 second long. The platform recommends no longer than 3o seconds for brand awareness and consideration videos, and 90 seconds for videos that meet upper-funnel marketing goals. I strongly encourage you to bookmark this blog and use it as a reference for your next social media video campaign! Of course Tabrizi Productions can work with you every step of the way to make sure you’re set to make a splash with your video for social media. Contact us today to get started!